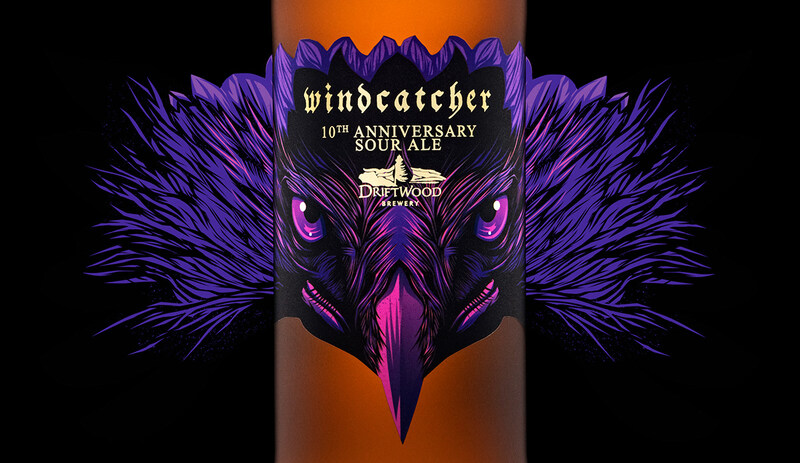 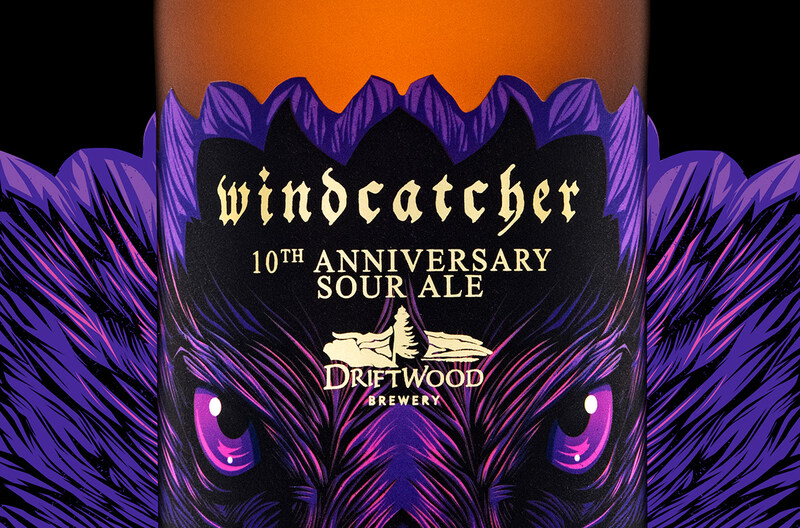 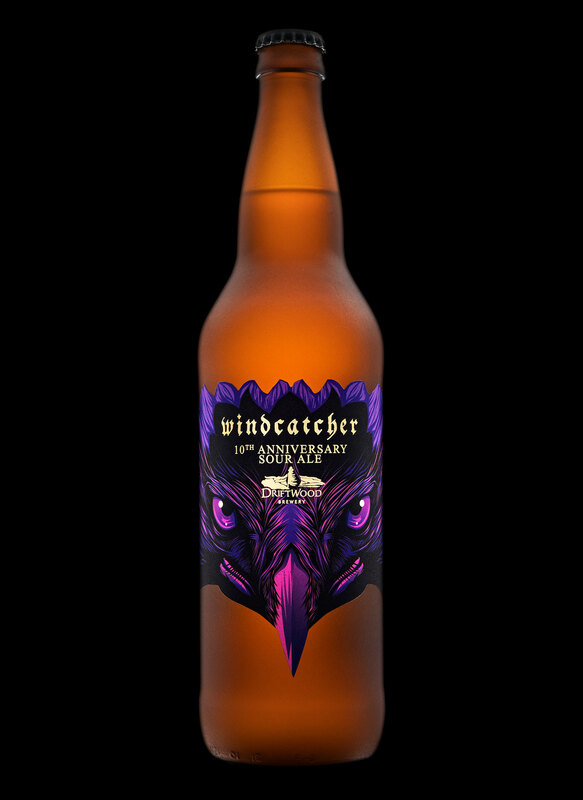 For Driftwood Brewery’s 10th anniversary we created Windcatcher, the latest in the Bird of Prey Sour Series. 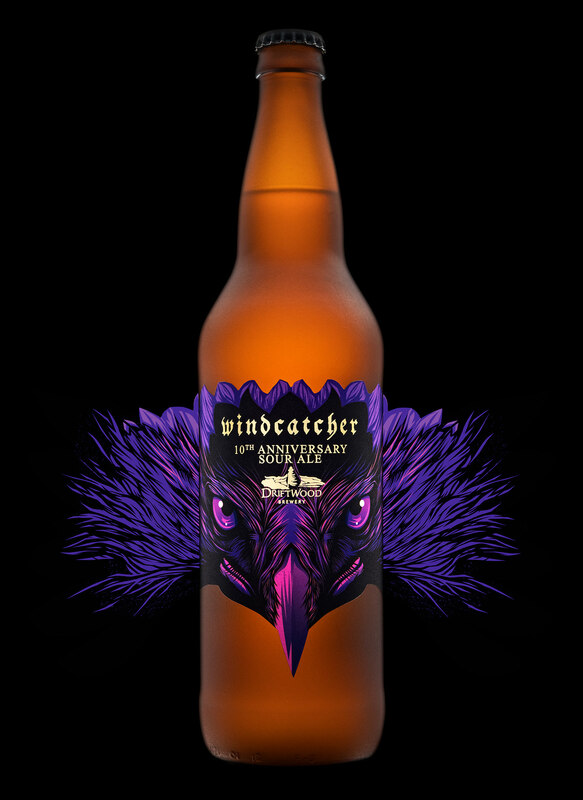 Windcatcher features a golden eagle, the bird of prey which sits atop the apex of the aviary world. 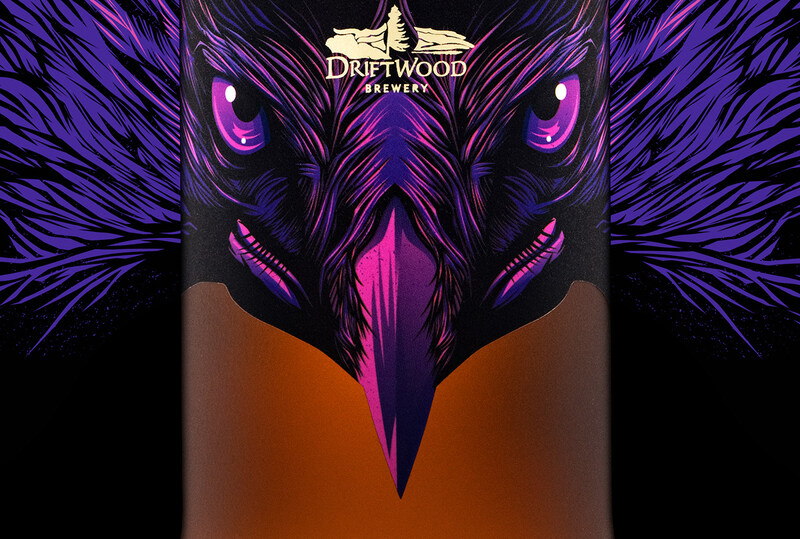 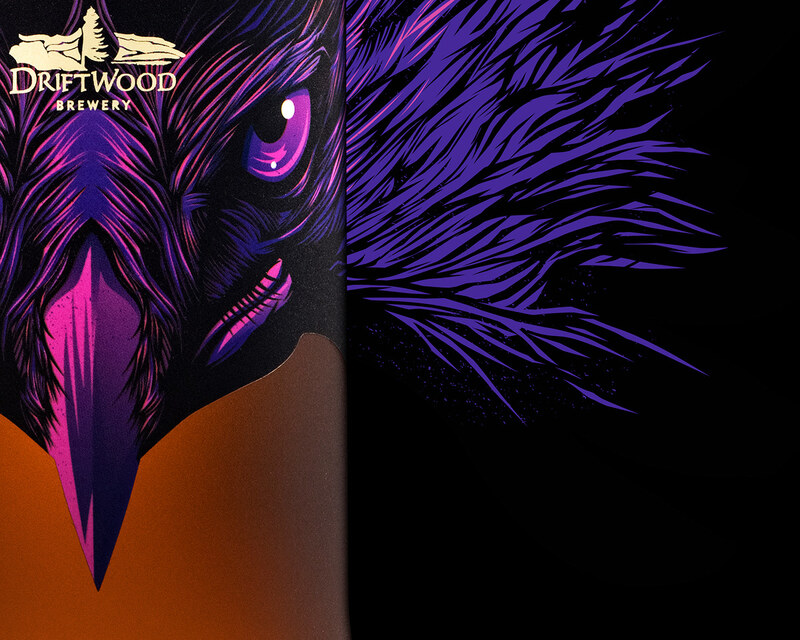 For this design we selected an opulent, lush colour scheme of purples and gold foil and illustrated the resplendent raptor in a manner where his eyes draw you into the label.